As an author in this economy, you have to come up with creative ways to market a self-published book. While book tours are a great way to connect with your readers, they aren’t the most affordable method of promotion. However, technology has made it possible for an alternative. 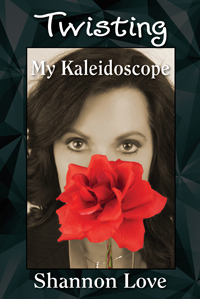 , who is taking her latest book, Twisting My Kaleidoscope, on tour – a virtual book tour, that is. She will be featured on several blogs over the weeks and months ahead so keep your eyes peeled to learn more about her and her book. Luckily for us, Shannon was kind enough to answer a few questions as the tour was getting started so that we can give you a sneak peek into the mind of the creator of Twisting My Kaleidoscope. OP: Tell us a little bit about Twisting My Kaleidoscope. What is it about? Shannon: My book guides the reader through my psychotic breaks attempting to replicate my thoughts and experiences. It is a virtual tour of what psychosis feels like through the eyes of the main character (me). I keep it as authentic as possible, allowing all the taboo bits to sieve through—daring the reader to feel the sensations that taunt me, to hear the voices that whisper in my ear, and to fathom the delusions that ruminate in my mind. In the end, the reader will close the book slightly amused yet somewhat disturbed. For it will occur to her that she truly understands what it is like to be psychotic. Shannon: More often than not, I hear the word “psychotic” used as a dirty word. Those of us who suffer with this particular symptom seem to wear an extra black mark on our shirts. The stigma attached to mental illness, in general needs to be eliminated. I believe if people understand psychosis better and realize that those who suffer from it are simply reacting to symptoms, they will perhaps be more empathetic. My memoir offers that opportunity. Shannon: I wrote my memoir to read like a captivating novel. My intentions were to reach as broad of an audience as possible. That being said, it will most likely appeal to individuals connected to someone who struggles with mental illness. But, any person should be able to relate on many levels. The parts he/she does not relate to I hope will intrigue him/her. Shannon: I do not hold back. My story is as bona fide and intimate as I could possibly make it without hurting anyone. To get lost in my book is to immerse oneself into psychosis. I would call it a simulation, except—unfortunately—it was not made up. OP: Thanks for your time, Shannon! We look forward to learning more about you as you visit other bloggers! 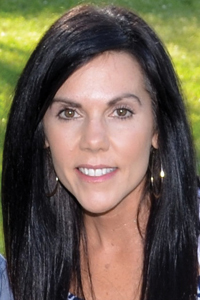 Shannon Love began life in rural Alabama as a seemingly stable and content youngster. After marrying her childhood sweetheart she continued on this path of fulfillment, expanding her household to five members and thoroughly enjoying a nomadic and international lifestyle. Three countries and five states later our author suffered a psychotic break, forcing her into yet another world—that of mental illness. Repatriated to the U.S., she now resides in Houston, Texas with her husband, two sons, and daughter.